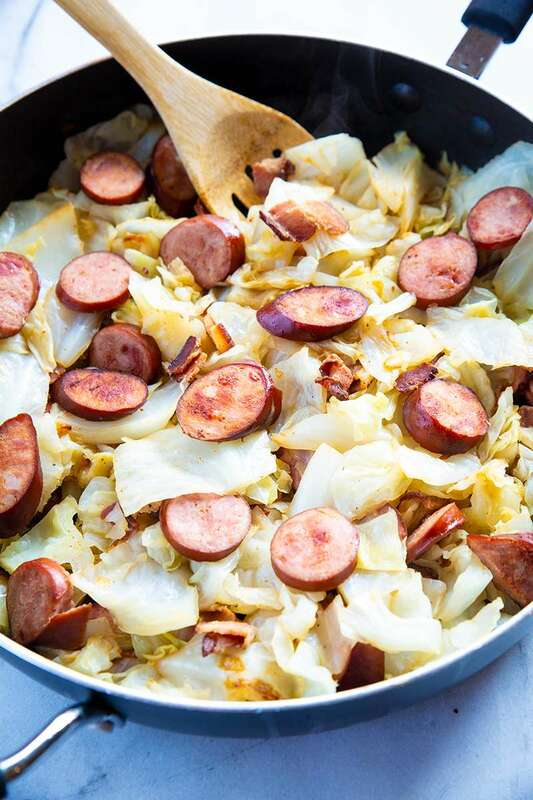 One of the easiest and most delicious ways to enjoy fried cabbage is to combine it with Kielbasa. This delicious combination is a classic in our household. 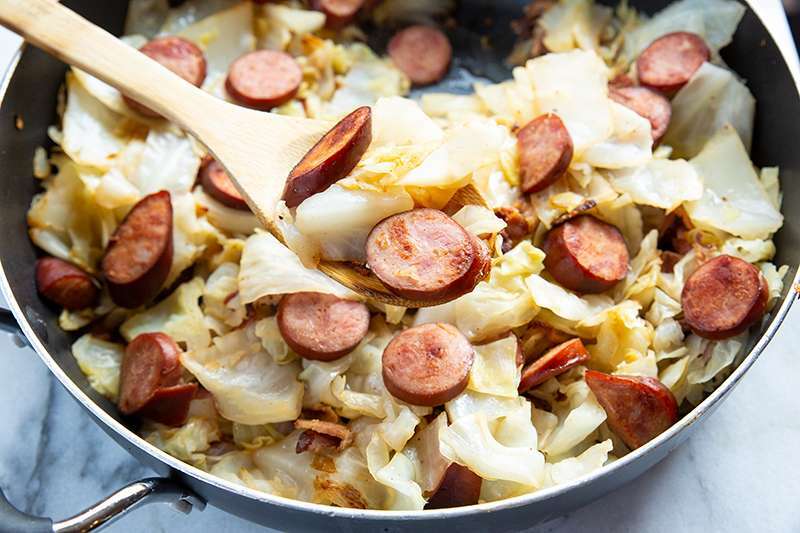 It’s easy to combine things in a pan and fry them but what often happens when you take something that contains a high concentration of water (like cabbage) and fry it together with sausage is the sausage doesn’t have a chance to crisp up properly. That’s not to say it won’t cook but I personally prefer mine with a bit of a browning to it and some crispy skin. It’s an easy problem (if you can call it that) to overcome and here’s how you do it. Get your pan up to medium heat and spray it with cooking spray (if necessary). Chop up the sausage until it looks similar to what is pictured in these photos and fry on both sides until brown. 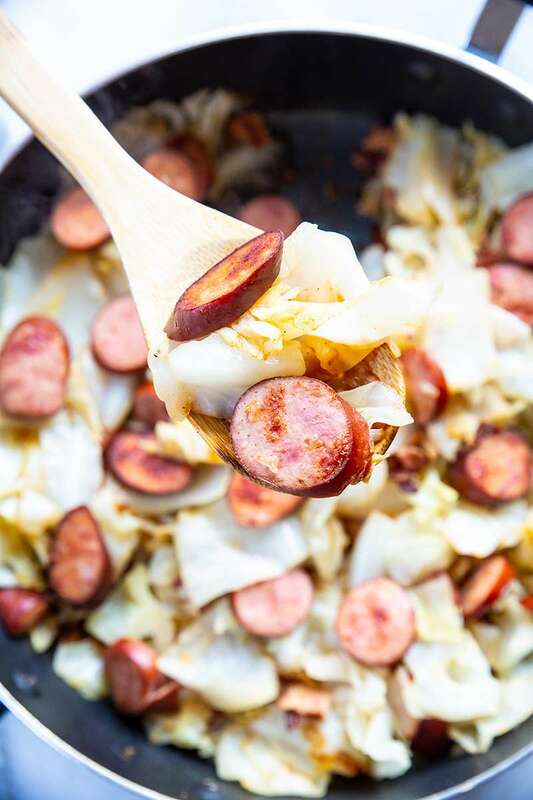 Once it’s browned, remove the sausage from the pan and add the chopped cabbage with 2 tbsp of butter and fry until it reaches your desired consistency and is cooked. Then add the sausage and fry for an additional couple of minutes to heat up the sausage. Remove from heat, add salt and pepper and serve. Can it get any easier? I don’t think so. This is how your fried cabbage and kielbasa will look when finished. See how crispy that sausage is? How Do You Pan Fry Cabbage? Place a skillet on the stove at medium heat and add 2 tablespoons of butter. Let the butter melt and add the cabbage. Cook until lightly browned and tender. Salt and pepper to taste. 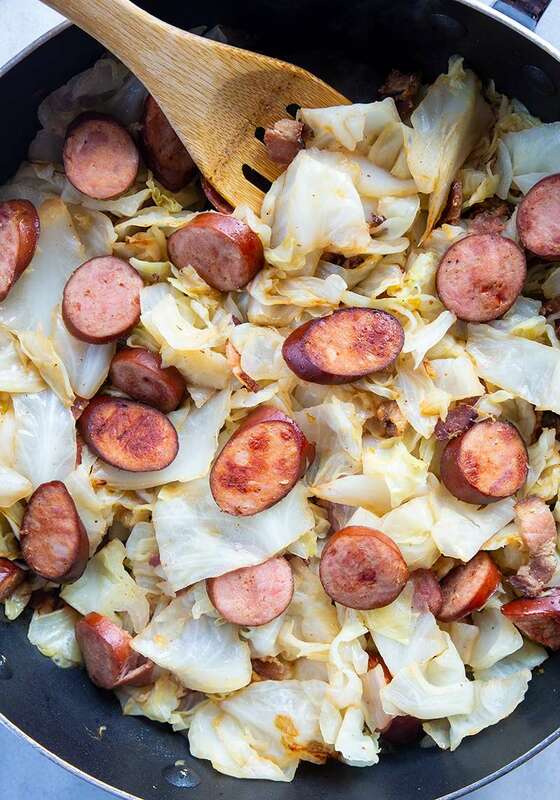 When chopping up the cabbage, try to keep it in small pieces about the same size as the slices of Kielbasa. This allows it to cook more evenly. For the Kielbasa, I have found that the ones from Costco tend to have a better flavor so I use those. I fry everything in salted butter because I think it tastes better, it also means you don’t have to salt the food when it’s done. Use a skillet that is nonstick and be sure to stir frequently as you want the cabbage to cook but not burn or stick to the pan. Closed up of the fried cabbage to show you how it should look, lightly browned with the sausage. This simple and easy recipe is a quick and delicious lunch and dinner. Enjoy! Pin this to your Low Carb, Keto, Dinner & Lunch Boards on Pinterest and don’t forget to follow @TheKitchenMagpieLowCarb on Pinterest! Fry Kielbasa first in your skillet until crispy on both sides. DON'T overcook it as it will dry out, just crisp it up quickly! Remove the Kielbasa from skillet and keep separate. Add 2 tbsp of butter to skillet on medium heat. Add chopped cabbage to skillet and fry in the butter until it reaches the desired consistency. Add Kielbasa to skillet to heat it up a bit. Serve with salt and pepper (to taste). Remember to fry the Kielbasa first and not with the cabbage at the same time! Add sauerkraut to the recipe…yum! Added a southern twist because I had bacon. Diced 1/4 lb bacon and cooked it first making my own bacon bits. Removed the bacon and then followed recipe. Adding the bacon back in with the cooked sausage at the end. Bacon flavor was not over powering but did add a lot of flavor. You were right on with the timing of adding back the sausage at the end to keep it crispy. Best fried cabbage ever. Thank you for sharing. 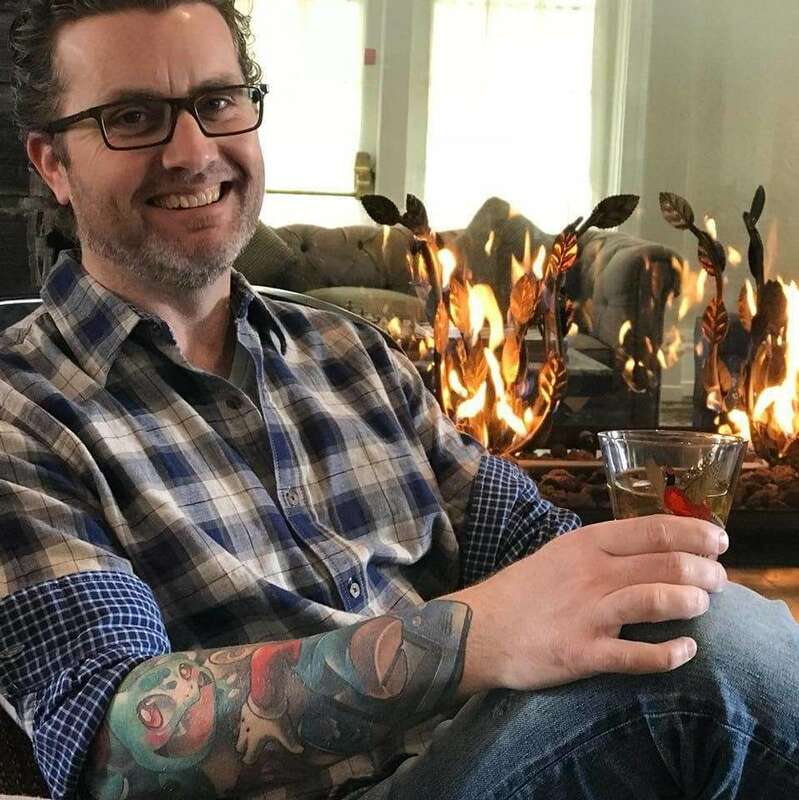 Cant wait to try your bacon wrapped wedges.